We are proud to train several area high school gymnastics teams in the area since 1980. 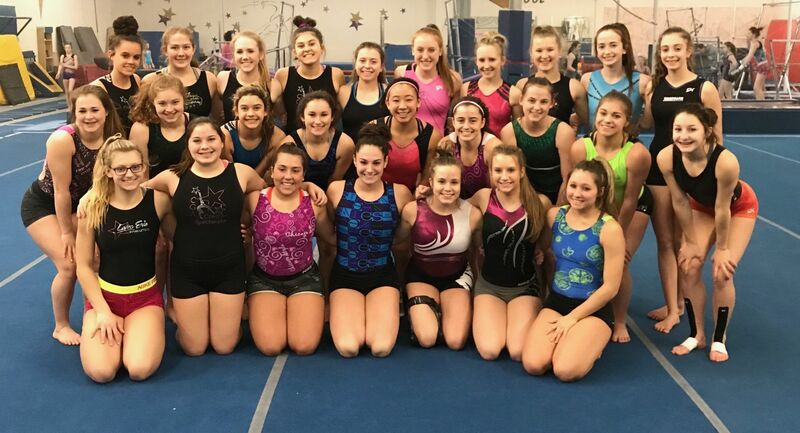 Lake Erie Gymnastics is also the only gym in the area to offer off-season training for all high school competitive gymnasts. **OFF-SEASON TRAINING: Calling ALL upcoming and Current high school students planning to compete on a high school gymnastics team. Join our Off-season program TODAY! Length: Year round training program (April to November) for high school gymnasts. This program will stop from November to March while the athletes compete and train with their high school. All athletes in this program must be planning to or competing on their high school gymnastics team. Tuition is monthly. *Champions are made in the OFF-SEASON. © 2019 Lake Erie Gymnastics. All Rights Reserved.